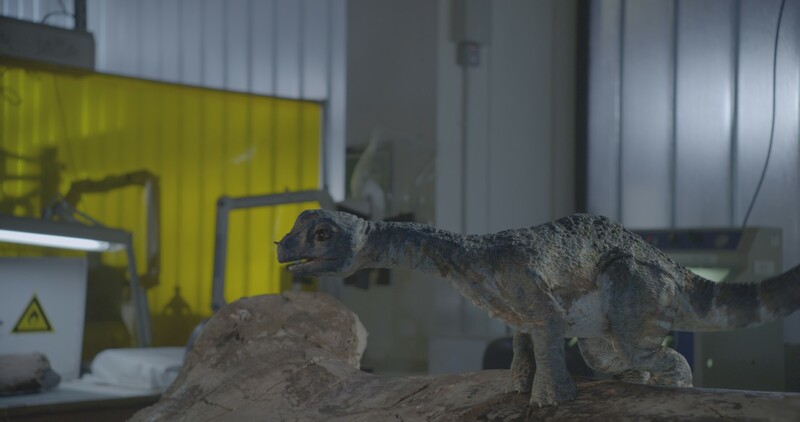 Milk created three CG creatures, in stereoscopic 3D, for Sky’s TV special David Attenborough’s Natural History Museum Alive 3D (1x 90), in which Britain’s best-loved broadcaster will bring his favourite extinct creatures back to life. The TV special will be broadcast on Sky 3D and in 2D on Sky 1 HD on New Year’s Day with an IMAX release in 2014. 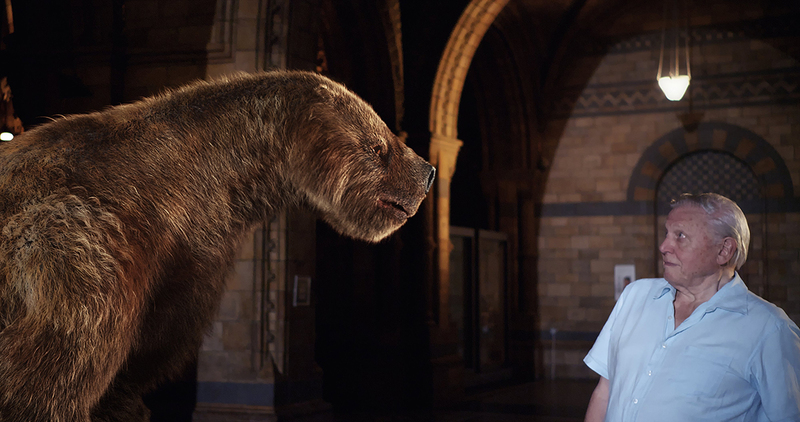 Attenborough will take viewers on a journey through the world-famous Natural History Museum in London in a compelling tale of discovery, adventure and magic to bring the museum’s now long-extinct inhabitants to life. 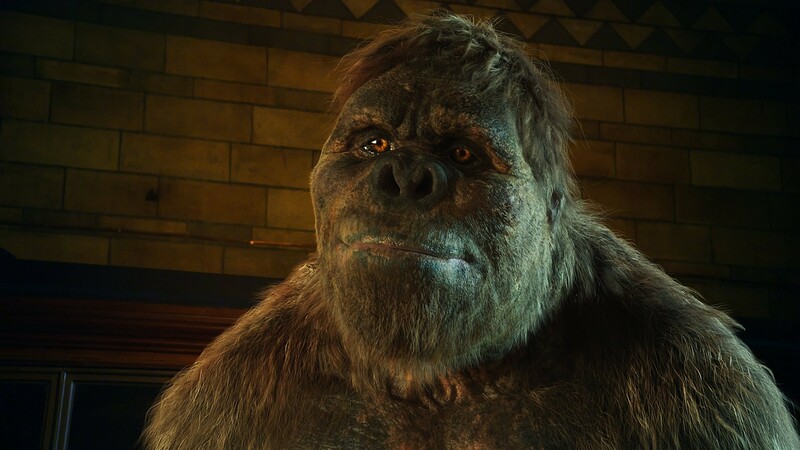 Milk created and animated a ‘Glossotherium’ (a large sloth-like creature); a ‘Gigantopithecus’ (a big Ape or Yeti–like creature), and a ‘Baby Sauropod’ dinosaur. 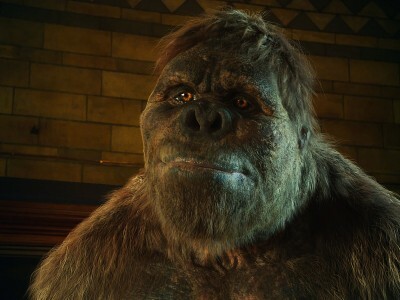 Milk worked with Colossus Productions and Natural History Museum archeologists to develop concepts for the three creatures, in particular for the ‘Gigantopithecus’. With only a tooth and part of the jawbone that remain for this creature for reference, Milk worked with a brief to come up with its look. They then built, textured, animated and composited the creatures in stereoscopic 3D at 4K resolution. One of the key challenges was ensuring the creatures were as scientifically correct as possible. As part of the R&D process the Milk team went behind the scenes at a zoo so that its team of animators could gather footage and experience seeing a Gorilla that is able to walk upright/bipedal, in order to animate the Gigantopithecus accurately. This enabled the team to make the type of creature that we usually see on all fours look bipedal and natural when it walked. They also had to factor in its weight and size. Milk created the fur for the ‘Glossotherium’ and ‘Gigantopithecus’ using their bespoke muscle and rigging system together with their fur pipeline – which was developed for Milk’s work on the BBC’s Ice Age Giants earlier this year. This incorporates ‘Yeti’, a fur system use to create and software was used to create and groom the hair. One of the biggest challenges was ensuring the detail of the creatures looked realistic and high quality at 4K resolution. In addition the lengths of the shots that Milk worked on ranged from 10 to 50 seconds – quadruple a normal shot length.